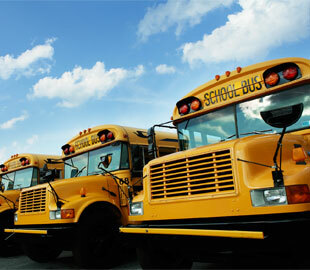 If you are in need of bus leasing and rental in Connecticut, we will gladly help you out. National Bus Sales offers the best bus leasing and rental options in the country, period! We stand by that commitment with every new customer we help. We have been in business for over 20 years, thanks to our superior customer service and support. NBS is your one-stop shop for bus leasing and rental. With school buses, motor coaches, and shuttle buses ranging from 14 to 84 passengers, we are sure to have something in our inventory for you. Most of our buses for rent come with special features, like A/C, lifts, audio/video and reclining seats. We have monthly and yearly bus rental and lease contracts available to give you flexibility, both in terms of payment and in terms of commitment. We have many payment programs available, depending on the bus you need. Contact us today to learn more about your options. 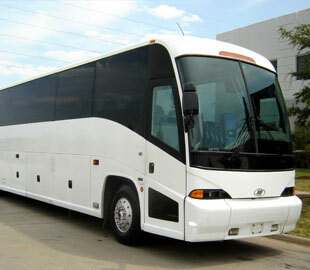 If you decide to get a rental bus from us, we ask that you carry a $2 million liability insurance policy on the vehicle. If you do not have insurance at this time, let us know and we will recommend some options for you. We do not provide drivers for our buses, so you will need to make sure you have a properly licensed driver available. Other than that, all we need is a security deposit to get started. At National Bus Sales, we also offer lease purchase agreements, TRAC leases, operating leases, and much more. We also have financing available if you would like to keep your bus on a permanent basis. Fill out the credit application on this page, and we will let you know what your terms would be. 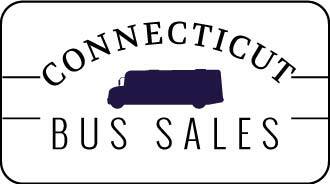 National Bus Sales is here to help you secure the Connecticut bus leasing and rental you need. Call us today @ 800.475.1439 to discover the possibilities.